Owen Marshall is a senior at HHS and is going into his fourth and final year on staff. He is one of the Editors-in-Chief on this year’s staff. Owen is also on the golf and baseball teams and hopes to continue his baseball career at the college level. In his free time, Owen enjoys spending time with friends and joking about Mrs. Kibler’s love for NASCAR. 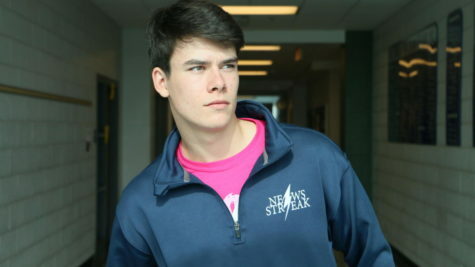 Although he is excited about leaving high school, he will miss Newsstreak and the many memories that have come with the years.